How is it that the poorest country in Western Hemisphere is home to one of the world’s most sophisticated microgrid projects? Maybe fate has determined that the embattled people of Haiti deserve a break, after decades of earthquakes, hurricanes, massive flooding, corruption and gruesome political oppression. Or, maybe it’s because a group of idealistic energy geeks, together with a team of determined Haitians, decided to bring renewable energy to a rural health clinic. Now that project has grown into a “micro-utility,” a private utility company called Sigora Haiti that is providing clean, reliable, and fairly priced electricity to 8,500customers in the poorest corner of Haiti. Sigora Haiti is serving a northwest fishing village called Môle-Saint-Nicolas, and a nearby community called Jean-Rabel, where the dreaded Haitian paramilitary group “Ton-Ton macoute” infamously massacred 139 people in 1985. 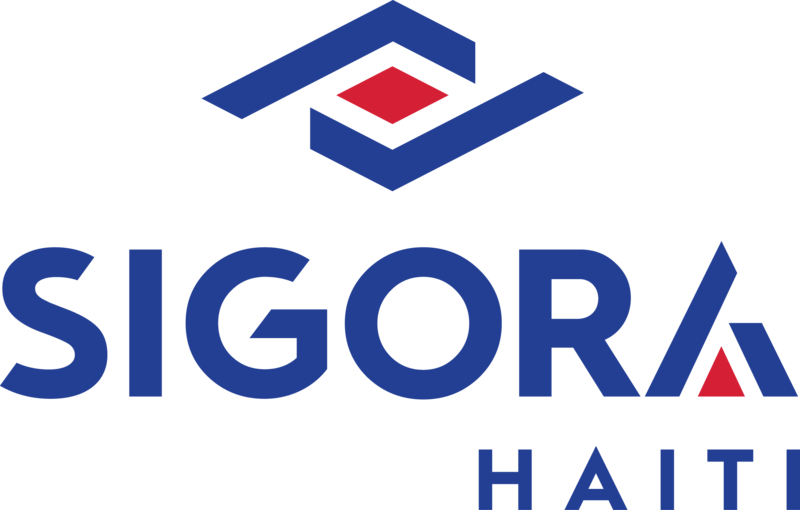 Sigora is renovating the grid in a third community called Bombardopolis , and plans to serve a whopping 50,000 customers by June of 2018. Founded by environmental activist Andy Bogdan Bindea, Sigora Haiti began modestly as a solar company in suburban Virginia. Realizing the success of this new business model, Bindea is scaling up Sigora’s “micro-utility” concept, which he believes can help address the energy needs of many of the world’s 1.3 billion people who are without electric power. HOMER Energy was able to speak with Sigora Haiti operations Director Drew Lebowitz and Frank Bergh, VP of Grid Engineering recently, and get an update on the story surrounding the Sigora Haiti microgrids. Lebowitz explained that Sigora chose the Môle-Saint-Nicolas site initially because of excellent wind resources in the northwest corner of the island. He also said that Sigora wanted to be near the loads to avoid building transmission lines. These towns fit the bill. Currently 85% of Haiti’s electricity is produced from expensive imported oil. But Haiti has substantial renewable resources including wind, solar, and hydropower, from water that courses off the island’s steep volcanic slopes. Bergh says that creates hopeful scenarios for the future. Sigora has completed construction on a 200 kW PV array, which will be integrated at the end of the year, and plans to put up the first wind turbine in 2018. “Myth #1 – People in NW Haiti can’t afford electricity.” In fact, says Bergh, people without reliable access to a power grid actually pay greater “coping costs” – sometimes as much as $10 per week – to purchase candles, kerosene, charge cell phones, and buy emergency electricity. Now customers on the Sigora Haiti grids can pay as little as a dollar per week per family for reliable, 24/7 power. “Myth #2 – The central grid will handle it.” Sigora Haiti is actually growing faster than Haiti’s central utility, which is beset by energy theft, and poor billing and collection practices. The central grid is far less capable of handling new customers than the new Sigora microgrids. By the end of the year, Sigora Haiti accounts will have grown from 1,700 to 4,000 and by June of 2018, the company anticipates it will be serving 10,000 accounts in Haiti, reaching 50,000 people with 24/7 power. Having reliable power is already shifting the ways in which Sigora Haiti customers use electricity. Most importantly, it’s increasing economic opportunities. Shops can stay open after dark, and more people are investing in freezers and refrigerators in the fishing town of Môle-Saint-Nicolas. The region is now able to supply power to community health clinics as well as every school in the two towns served by the Sigora microgrids. These changes are raising eyebrows across Haiti. “People are watching carefully,” says Bergh. “The fact that there’s 24/7 power in the the poorest part of Haiti is definitely making waves nationwide.” Meanwhile in the capital city of Port au Prince, customers still struggle with intermittent and unreliable power. Môle-Saint-Nicolas now has enough power to refrigerate a fresh catch. Intelligent microgrid design isn’t the only factor underlying the success of the Sigora Haiti micro-utility projects. Other advantages include smart meters manufactured by Sigora International, which provide effective anti-theft technology, demand response features, and built-in capabilities for data distribution – at affordable prices. “The biggest difficulty is billing and collecting money for power sales,” Lebowitz and Bergh both said. “Power theft is a big deal in Haiti.” This is also true in many other developing countries. The Sigora meters have built-in capacity to do data distribution, which is essential for them to be able to work in a network environment. This allows the meters to be turned into WiFi hotspots, and that mean Sigora customers can get internet access. The company has been using that feature to experiment with locally distributed content including free videos about power safety and energy conservation. Finally, Sigora can manage the entire microgrid system remotely, including demand control features. The bottom line is that Sigora is collecting payments from its customers effectively, and ultimately, the customers are paying less for basic but reliable electric service. Last but not least, Lebowitz says, 95% of Sigora Haiti’s employees are Haitian and that’s unusual in a development project such as this. They are mostly young people eager to acquire new skills, and they are remarkably adept at learning how to manage and repair the new microgrid infrastructure. Even the women are to trained to climb up utility poles as part of their grid management responsibilities. Central grid utilities often cannot afford to provide reliable access to electric power due to a self-reinforcing spiral of poor revenue collection, theft and inadequate generation. It will be interesting to see if Sigora Haiti can shift that paradigm, but it looks as though they are already succeeding.